Angela Dionne™ Shoe Art is a fusion of two beautiful worlds – art + fashion. They are one-of-a-kind, hand-painted shoes that fit perfectly in any setting from a high fashion runway show to a fabulous night on the town with friends. The artistic foot wear is inspired by women who boldly embrace uniqueness and are always on the cutting edge of fashion; the Angela Dionne™ woman is the truest personification of a trendsetter! Angela Dionne™ Shoe Art is the antithesis of mass-produced designs. 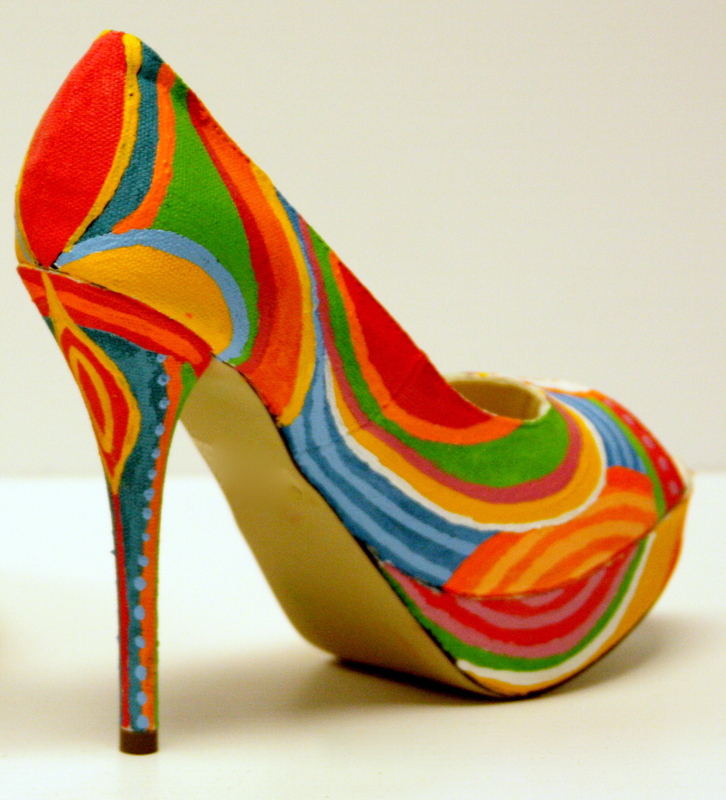 No machinery is used to create the eye-catching patterns as each shoe is hand-painted with love. And like an actual painting, you will see brush strokes and perfectly imperfect lines. No two pairs are alike; even if the pattern is similar, they are different. That’s what makes them so special! For an added touch, each shoe is signed by Angela and will bear the name of the shoe art patron. Please browse the shoe gallery and add to your art collection today.